crafty caroline: Day 2 of Indian sneak peeks? Please stop and look at all of the Inkoids blogs for some amazing samples. Here is one of my cards. I love this elephant stamp, which I have coloured with Copics. 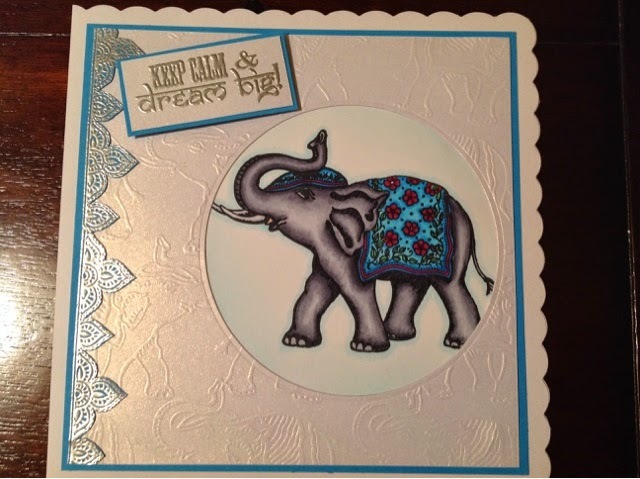 Please stop by again tomorrow for another sneak peek..
Beautiful, love the embossing and the cute elephant. I love this elephant image and the way you've featured him on this card is fabulous! Thank you all very much. This little fella is my favourite stamp in all the sets.